I’m really excited to announce the release of this website! The client is So Me Artisan Wares and Jeweler’s Studio located in Glenshaw, PA. It’s a really fun shop that features handmade jewelry and lots of beautiful decor items and cute kids things. The owner, Amy Klein McGinley is also a jeweler and can design custom pieces! They are amazing. Keep her in mind for a special gift or even if you need a favorite piece repaired. 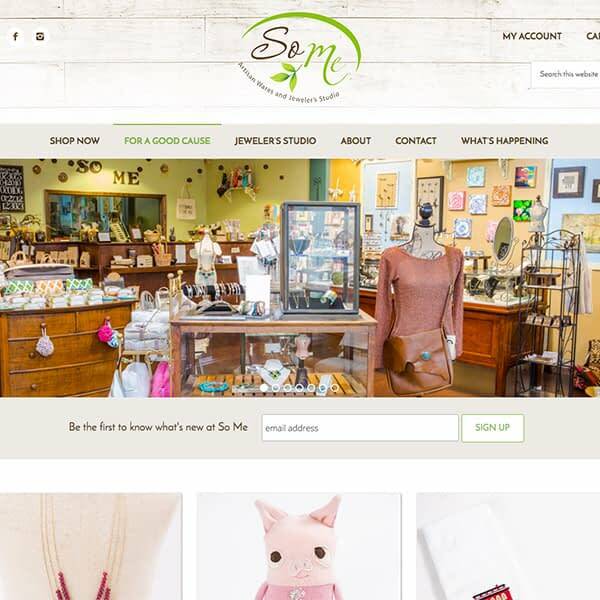 Amy wanted her website to reflect the welcoming and eclectic vibe in her store. We chose that white-washed wood background to give it that unique touch and then just let the photography of her store and products do all the work. 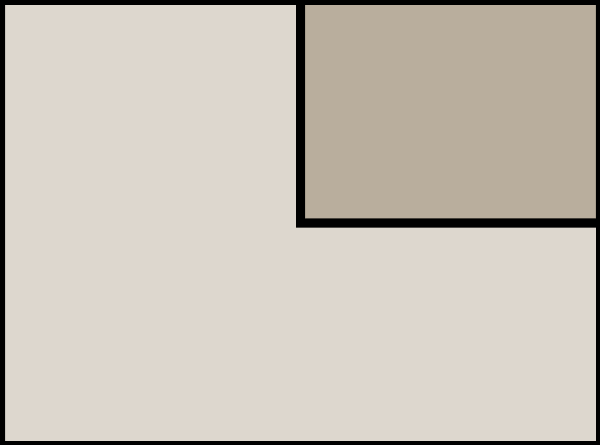 I kept a very minimal, clean design to allow her products to be the focus. Functionally, this website is no lightweight. Powered by the industry leading ecommerce platform, WooCommerce, you can shop right on the site. She can manage her inventory and even automatically notify customers when an out of stock item is available. She is also able to capture her customers’ email addresses so that she can use email marketing to keep in touch with them about events and sales at the store. This was a really fun and challenging project, and I’m so grateful for opportunity to develop this ecommerce site for So Me! I’d love to hear some feedback on this one! 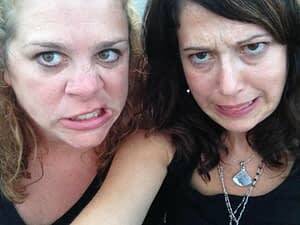 When Amy Gordon of Running OM Green and I first met, I knew she would be fun to work with, and I was right! She is very excited about her new juice business and we really wanted that to show on the website. By using bright colors and a funky typeface, we were able to put out that fun and fresh vibe she was looking for. 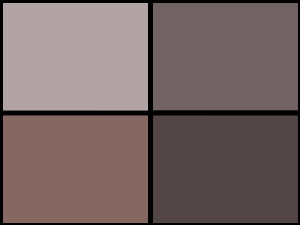 This site isn’t just good looks. Using WooCommerce, Amy has a fully functioning juice store on there. Her juices are so fresh that it’s nearly impossible to retail them in stores. It would be a logistical nightmare keeping store shelves stocked up with a product that contains no preservatives. No worries though, she has lots of options for getting your hands on that juice! Her juice is cold-pressed, super fresh, and so delicious. That reminds me, I need to order some. Do you want to order some juice?? I thought so. Check out her website! Gretchen McNary is one of my most special friends in the whole world…ever, and folks, she is knocking it out of the park with her new business. 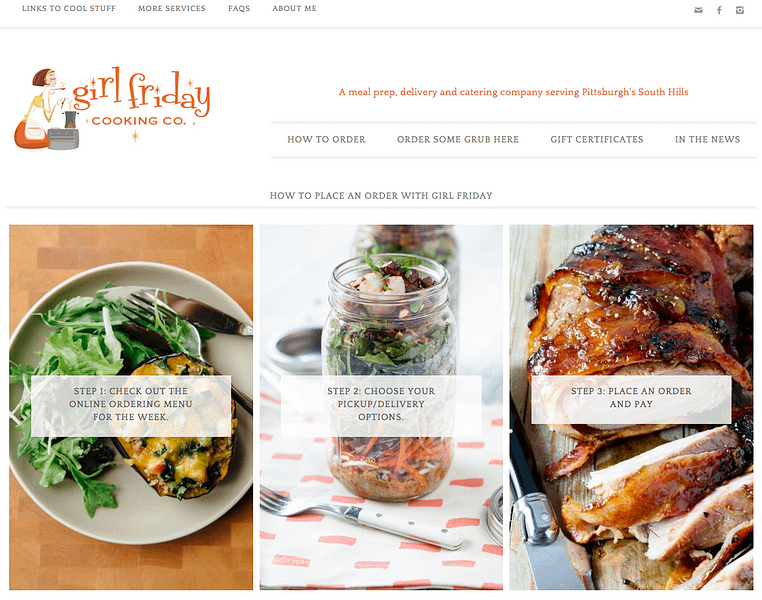 In case you haven’t heard, she has a cooking business called Girl Friday Cooking Co. She puts out a weekly menu of 4-5 selections, takes orders via her website, and then delivers the orders to several nearby gyms or even to your house! Her food is fresh, made from scratch and packed up in cute little generous single serving containers. She wanted a logo that evoked that 1960’s era when the term Girl Friday was coined. We tweaked a cute little stock illustration of a woman cooking and added some a funky type to create this fun logo. Her website, simple as it seems, actually has some power behind it. We are using a great custom form plugin called Gravity Forms to develop a custom menu ordering system each week. If you are already a customer of hers, you know there have been some growing pains, but as we work through them, things are streamlining. Look for more improvements and a new “pay as you order” system soon! I couldn’t be more proud of all of her hard work! Wayout Design just completed a website for a cause very near and dear to my heart. I was diagnosed with Epitheliod Hemangioendothelioma (EHE) in 2011. Try to say that one three times fast! It’s a very rare sarcoma, and when I was diagnosed, I could barely find anyone that had it. Then, a small Facebook group formed, and low and behold, our numbers grew. A few very ambitious women, some patients, some parents of patients, started The EHE Foundation, a 501(c)3 organization. The goal is to raise money for research into diagnosing, treating, and maybe curing EHE. 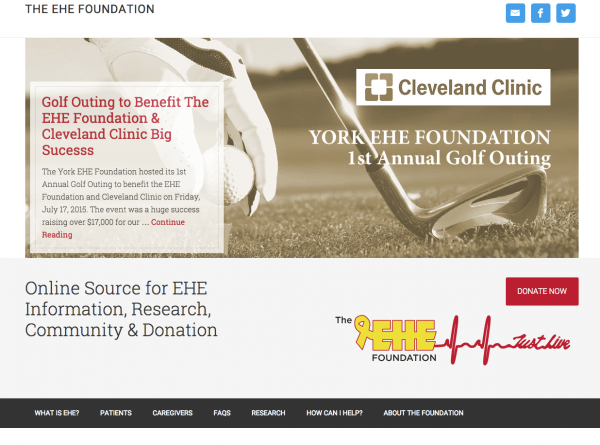 There is one doctor, a researcher at the Cleveland Clinic, that is studying EHE. Our efforts have made it possible for him to have a lab assistant. How crazy is that? Some cancers literally have 1000s of people studying them. We have two. Wow. If you have some time, check it out and let me know what you think! I’m really proud of this one for many reasons. And don’t worry about me. I’m fine at the moment! Went to Kennywood yesterday. This is a special mobile responsive, WordPress, website built on the Rainmaker Platform, which is a new thing for me. I’ll post more about Rainmaker later on, but it’s pretty cool. 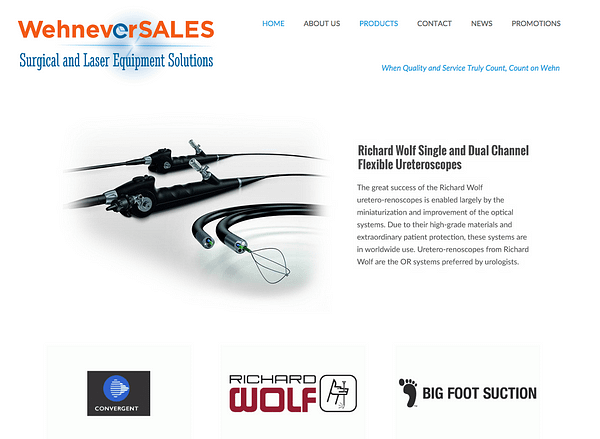 This project was for my friend John Wehn for his medical equipment sales business called Wehnever S.A.L.E.S. John needed a website that highlighted the various medical equipment vendors that he represents. It was designed with a target audience of physicians and other medical professionals. Videos and informational PDFs are readily available under each product and vendor, and allow the users to quickly see the information available for each product. We also designed a logo and business cards for Wehnever S.A.L.E.S. 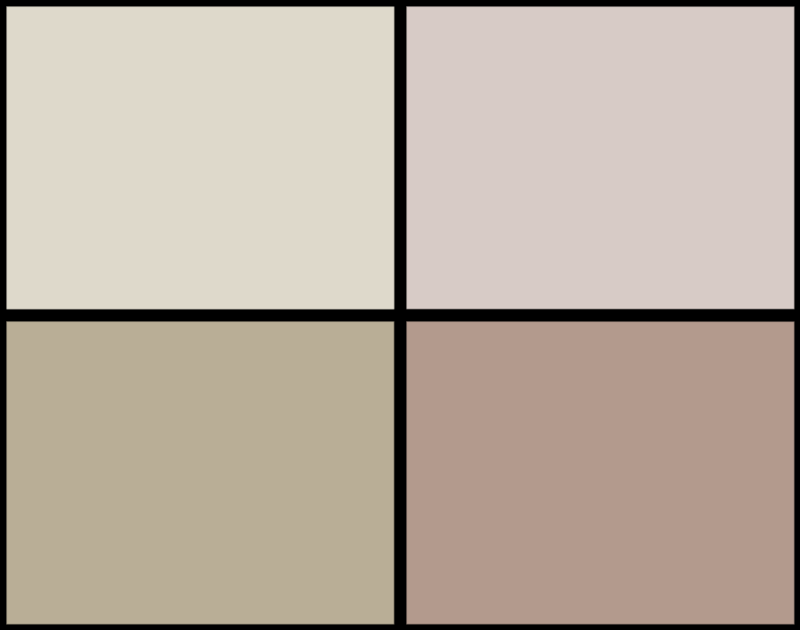 This website was actually finished some time ago, but I forgot to post it up here. It was designed for Christine Parker. She is a fitness instructor, motivator, mother of four and wife. I really don’t know how she does it. Unbelievable energy! 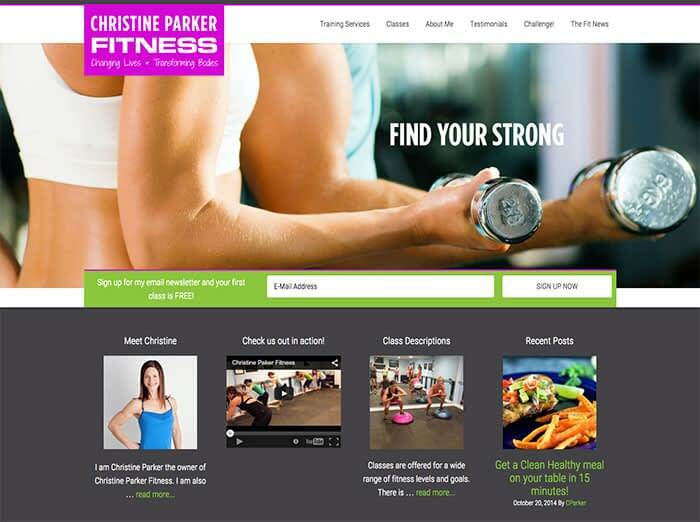 Christineparkerfitness.com integrates with her email program, MailChimp. There are two ways this happens. 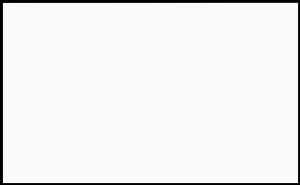 First, as you see on her homepage, email addresses are collected for her weekly newsletter. Even if you don’t take her classes, take a second and signup for her newsletter. Every Sunday you will receive a motivating, informational email with tips, recipes and her class schedule. Really great stuff. The second part of the integration is via her blog. When she makes a blog post, she can choose to also have that post automatically emailed to her client email list and/or post on Facebook. It’s important to note here is that the blog post triggers the email and Facebook post. Why is this important? For your site to show up in the search engines up at the top where you want it to be, you must have new, fresh, legitimate, frequently changing content on your blog! I can’t say enough about that. After Wayout builds you an awesome website, there is only so much we can do to ensure your high ranking in the search engines. Our sites are built on the Genesis platform which is optimized for search engines. Most of our websites are hosted with A2 Hosting, which gives you super-fast page load times. Now it’s up to you. You are the expert in your industry. You know your product or service, and you know what cool thing happened at work or in your industry this week. Blog about it! Believe me, I know it’s difficult to find the time to sit down and write. My last post was from September. That’s a great example of “do what I say; not what I do.” I will be posting much more often. I’ve carved out the time in my schedule and I’m making it happen. 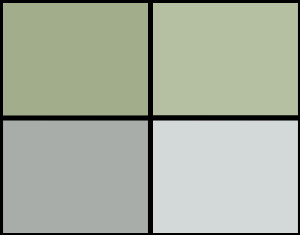 Blog with me people! 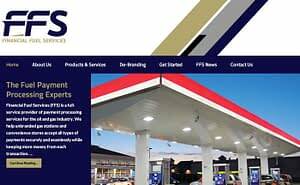 The Financial Fuel Services website was recently designed for my good friends, Sheryl and Randy Langlois. Our kids are the same age and have been in the same classrooms for years, so getting this website completed so quickly and efficiently was a major coup! They were a joy to work with, so willing to try new things, like the cool image slider you’ll see if you link over to their site! They specialize in credit card processing for unbranded gas stations, so if that speaks to you, head on over and see what they’re all about! My good friend, Susan Ambrosini, helped me out with some back trouble that I was having. She is a Registered Bowenwork Practitioner. I was thrilled when I could return the favor by designing a website for her and her sister, Liz. 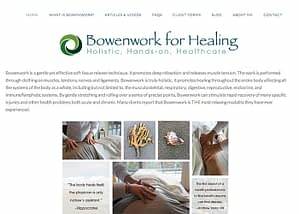 Check out bowenwork4healing.com to see what this wonderful modality is all about! 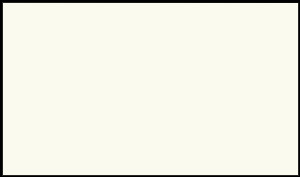 This is a fully customized WordPress website. 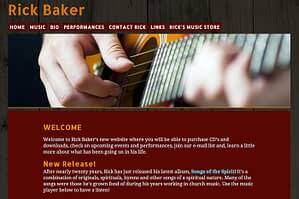 We’d like to announce the release of our first CD Baby website with rickbakermusic.com! What’s great about CD Baby is that they provide seamless integration with their store. 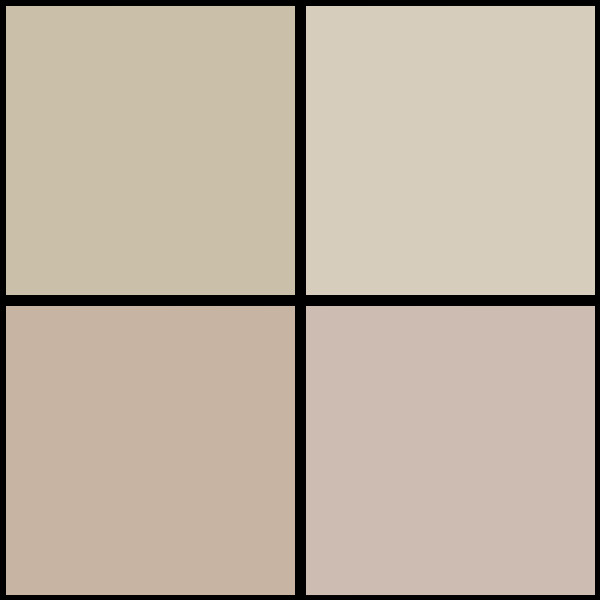 Music samples and downloads are right on the website. It”s a really great tool for the independent musician. Rick is a singer-songwriter that I’ve known probably since I was born! He and his wife Melinda have a son my age. They were dear friends of my mother’s and now of mine. Those who know me well know that I can’t function without Melinda. I’m so grateful for her! 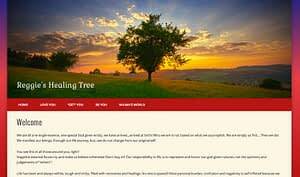 Our first WordPress powered website, reggieshealingtree.com is actually still under construction. The client is adding her own content and photos. This was designed for my dear friend Wilma who has a distinct talent for rooting out a person’s true being. 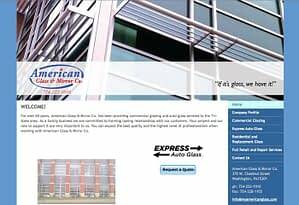 This website was created for Mario Julian, owner of American Glass & Mirror. A long-time friend of ours, we were happy to create a simple, easy to use site for Mario’s glass business. Remember, if it’s glass he has it! 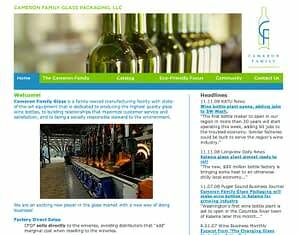 The business that barely was…This website was for our family’s glass wine bottle manufacturing facility in Kalama, WA. After years of planning and brief operations, the business closed. Nonetheless, it had a nice website. Designed much like a WordPress site, this site was designed using hand coding HTML/CSS and Adobe products.